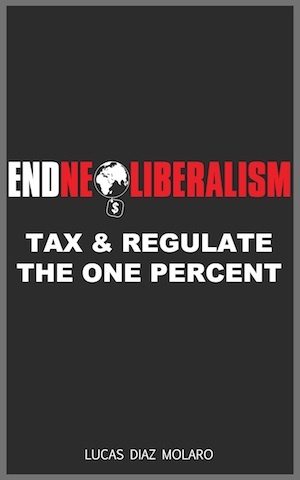 End Neoliberalism e-books cover the history of Neoliberalism, how progressive government can reverse the Neoliberal era with taxes and regulations, and how green methods of production can create an abundance of wealth while promoting peace and sustainability. Dictators and IMF programs are responsible for the centralization of wealth in the hands of the group that has unofficially come to be known as The One Percent. Incidentally, the United States became its own fear by anticipating the USSR in the expansion of a heavily monopolized global economy through the use of totalitarian force. 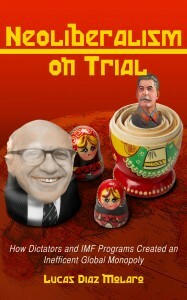 The purpose of this book is to bring to bear the harmful communist-derived ideals that underpin the Neoliberal era, and to reveal how the continuous disrespect for sovereign countries has systematically destroyed all possibilities for founding a dynamic global economy; one that produces value-added technologies, peace, and sustainable levels of growth via local development and fair trade. 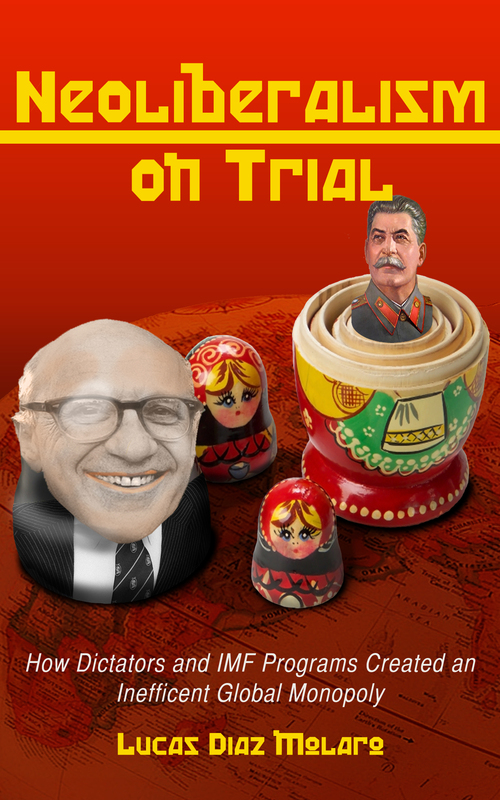 Download Neoliberalism on Trial e-book on printable PDF and e-Pub for free! 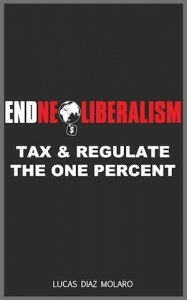 Download Tax & Regulate The One Percent e-book on printable PDF and e-pub for free! Plummet the demand of corporate goods by targeting their market share! 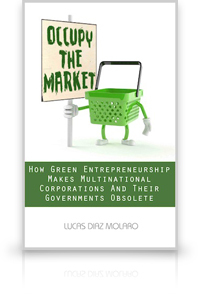 Occupy the Market, How Green Entrepreneurship Makes Multinational Corporations and Their Governments Obsolete explores the prospects of DYI upcycling, urban farming, cooperatives, open source three-dimensional printing, Biomimicry, Cradle-to-Cradle, and Transition Towns for solving our environmental and economic crises in a peaceful and proactive manner.